Draft: 2012, Philadelphia Phillies, 21st rd. Andrew James Anderson… 2012 graduate of Galena High School (NV)… Hobbies: Being outdoors, hiking and mountain biking… Signed by: Joey Davis. Spent majority of the season with Lehigh Valley (AAA)... Was on the minor league 7-day DL with a right forearm strain, 4/8-5/12... Allowed three runs or fewer in 16 of his 19 starts with Lehigh Valley and two or fewer in 12... Had 3 stints with the Phillies: 7/8, 7/24-25 and 9/11-end of season...Made his first ML start on 7/8 at PIT, his only ML start of the season...Three of his four ML relief appearances were 2.0 innings or more. Spent most of the season with Reading (AA)...Went a combined 9-4, 3.46 ERA (44 ER, 114.1 IP) in 22 starts between Reading and Lehigh Valley (AAA)...Posted a 2.67 ERA in 19 of his 21 starts for Reading; allowed 12 ER in 3.1 IP in the other two starts...Selected as an Eastern League midseason All-Star and was named EL Pitcher of the Week twice: 5/8-14 and 5/29-6/4...Held double-A hitters to a .207 AVG (81-391)...Recalled on 8/1 and made his ML debut that night at LAA before being optioned back to Reading following the game; had another ML stint, 8/23-26...First career strikeout was Mike Trout, 8/1 at LAA. Missed the entire season following Tommy John surgery (4/2/15). Pitched for Lakewood...Went 3-2, 2.43 ERA (8 ER, 29.2 IP) over his fi nal 6 starts before being placed on DL on 6/9 (right elbow sprain)...Transferred to Gulf Coast League Phillies (R) on 7/26 and made 2 appearances before being shut down for the remainder of the season. Spent the season with Williamsport (A) and led the team in ERA (2.00), wins (6) and innings (76.1)...Allowed 3 ER or fewer in all 15 starts...Twice named Phillies Minor League Pitcher of the Week: 7/29-8/4 and 8/26-9/1...Went 2-2, 3.42 ERA (10 ER, 27.1 IP) over his fi rst 5 starts before going 4-1, 1.26 ERA (7 ER, 50.0 IP) in his fi nal 10 starts...Participated in Florida Instructional League. April 16, 2019 Philadelphia Phillies optioned RHP Drew Anderson to Lehigh Valley IronPigs. April 15, 2019 Philadelphia Phillies recalled RHP Drew Anderson from Lehigh Valley IronPigs. March 21, 2019 Philadelphia Phillies optioned RHP Drew Anderson to Lehigh Valley IronPigs. September 11, 2018 Philadelphia Phillies recalled Drew Anderson from Lehigh Valley IronPigs. August 15, 2018 Lehigh Valley IronPigs activated RHP Drew Anderson from the temporarily inactive list. August 14, 2018 Lehigh Valley IronPigs placed RHP Drew Anderson on the temporarily inactive list. July 26, 2018 Philadelphia Phillies optioned RHP Drew Anderson to Lehigh Valley IronPigs. July 24, 2018 Philadelphia Phillies recalled Drew Anderson from Lehigh Valley IronPigs. July 9, 2018 Philadelphia Phillies optioned RHP Drew Anderson to Lehigh Valley IronPigs. July 8, 2018 Philadelphia Phillies recalled Drew Anderson from Lehigh Valley IronPigs. May 13, 2018 Lehigh Valley IronPigs activated RHP Drew Anderson from the 7-day disabled list. April 11, 2018 Lehigh Valley IronPigs placed RHP Drew Anderson on the 7-day disabled list retroactive to April 8, 2018. Right forearm strain. March 5, 2018 Philadelphia Phillies optioned RHP Drew Anderson to Lehigh Valley IronPigs. October 2, 2017 Philadelphia Phillies recalled Drew Anderson from Lehigh Valley IronPigs. August 27, 2017 Philadelphia Phillies optioned RHP Drew Anderson to Lehigh Valley IronPigs. August 23, 2017 Philadelphia Phillies recalled Drew Anderson from Lehigh Valley IronPigs. August 22, 2017 RHP Drew Anderson assigned to Lehigh Valley IronPigs from Reading Fightin Phils. August 2, 2017 Philadelphia Phillies optioned RHP Drew Anderson to Reading Fightin Phils. August 1, 2017 Philadelphia Phillies recalled Drew Anderson from Reading Fightin Phils. March 13, 2017 Philadelphia Phillies optioned RHP Drew Anderson to Reading Fightin Phils. November 18, 2016 Philadelphia Phillies selected the contract of Drew Anderson from Clearwater Threshers. October 2, 2016 Clearwater Threshers activated RHP Drew Anderson from the 7-day disabled list. August 31, 2016 Clearwater Threshers placed RHP Drew Anderson on the 7-day disabled list retroactive to August 29, 2016. August 15, 2016 Clearwater Threshers activated RHP Drew Anderson from the 7-day disabled list. August 9, 2016 Clearwater Threshers placed RHP Drew Anderson on the 7-day disabled list retroactive to August 7, 2016. July 8, 2016 RHP Drew Anderson assigned to Clearwater Threshers from Lakewood BlueClaws. May 20, 2016 Lakewood BlueClaws activated RHP Drew Anderson from the 7-day disabled list. April 2, 2016 Lakewood BlueClaws placed RHP Drew Anderson on the 7-day disabled list. September 14, 2015 Lakewood BlueClaws activated RHP Drew Anderson from the 7-day disabled list. April 5, 2015 Lakewood BlueClaws placed RHP Drew Anderson on the 7-day disabled list. September 18, 2014 Lakewood BlueClaws activated RHP Drew Anderson from the 7-day disabled list. July 26, 2014 Lakewood BlueClaws sent RHP Drew Anderson on a rehab assignment to GCL Phillies. June 9, 2014 Lakewood BlueClaws placed RHP Drew Anderson on the 7-day disabled list. April 24, 2014 RHP Drew Anderson assigned to Lakewood BlueClaws from Williamsport Crosscutters. June 15, 2013 RHP Drew Anderson assigned to Williamsport Crosscutters from GCL Phillies. June 29, 2012 Drew Anderson assigned to GCL Phillies. 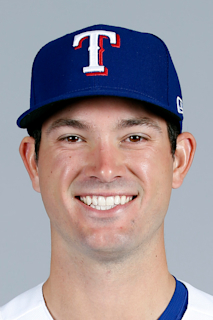 June 24, 2012 Philadelphia Phillies signed RHP Drew Anderson.